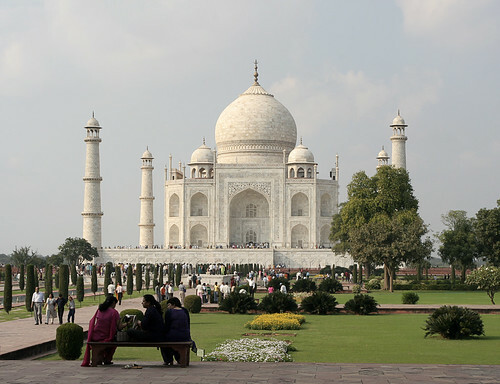 Critics argue the commercialization of the icon will ruin its sanctity, while supporters say it will help promote India’s culture, but wise opinion will wait to see the design and execution of the $354 project. A replica of the Taj Mahal is set to be built in Dubai. Except that this version of the world-famous monument of love will be bigger, and come with a hotel and as well as a shopping area. The Taj Arabia hotel is part of a real estate project that constructs other global architectural icons. Photo by Grant Matthews. Dubai-based conglomerate Link Global Ltd. say their planned “Taj Arabia,” will be “a mirror image of the famed Taj Mahal of India,”…and include a 300-room luxury hotel, a mall and cocktail bars. The Taj Arabia will be part of a broader real estate project called “Falconcity of Wonders,” which will also include replicas of the Leaning Tower of Pisa, Pyramids and the Eiffel Tower. The total cost of the Taj Arabia project is expected to be around $354 million.